Surrounded by beautiful greenery and with a trendy facade, OYO Home 13946 Green View 5BHK in Mapsua, Goa, is a pleasing property with vibrant interiors. It is close to Our Lady of the Rosary Chapel, Sai Temple and Cunchelim Cricket Ground. 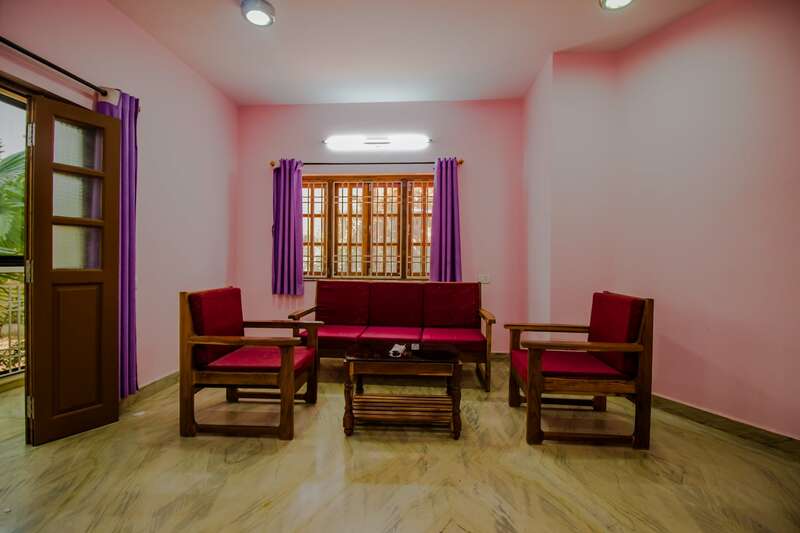 The property has a classy living space in pink and magenta, with wooden furniture. The open kitchen and dining are aesthetically pleasing and done up in warm tones. The rooms are bright and colourful, with modern furnishings. The property provides amenities like AC, TV, and mini fridge in all rooms. The bathrooms have geysers. Parking facility is also provided. The hotel is close to a number of restaurants such as Spice Goa, Le Jardin, Cafe S.F Xavier, Goan Spice, Navtara Veg Restaurant, Mand Shere Punjab etc.